Hoatzin. I just love saying it. You say it like it has a “W” in it. It makes a sound that reminded me of bagpipes filling up with air. And it smells like a cow. Because it’s kind of like a cow. Really. 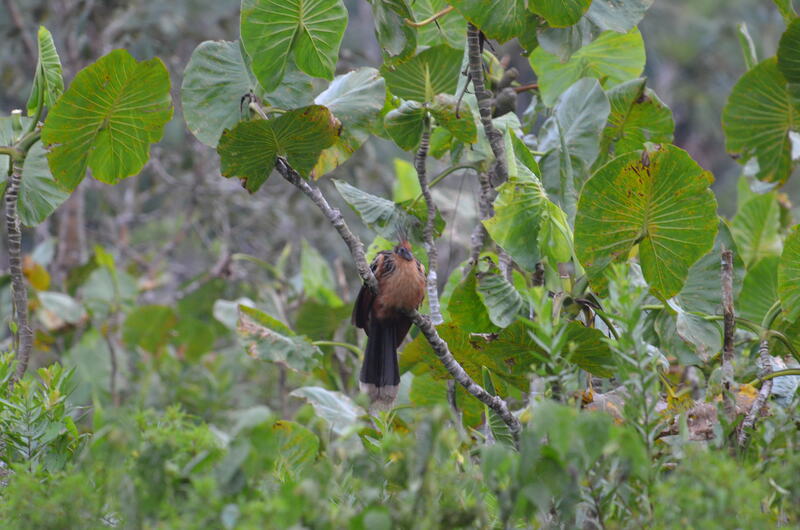 There were always several of them lurking around the shores of the lake outside Sacha Lodge where we were staying for four nights in the Amazon, and it was one of the first birds we saw on our trip to Ecuador. Every time we would canoe in from one of the creeks that fed into the lake I would look forward to being greeted by the Hoatzins. I immediately fell in love with this bird because it allowed me to get some nice shots of it. Thank you, nice bird! 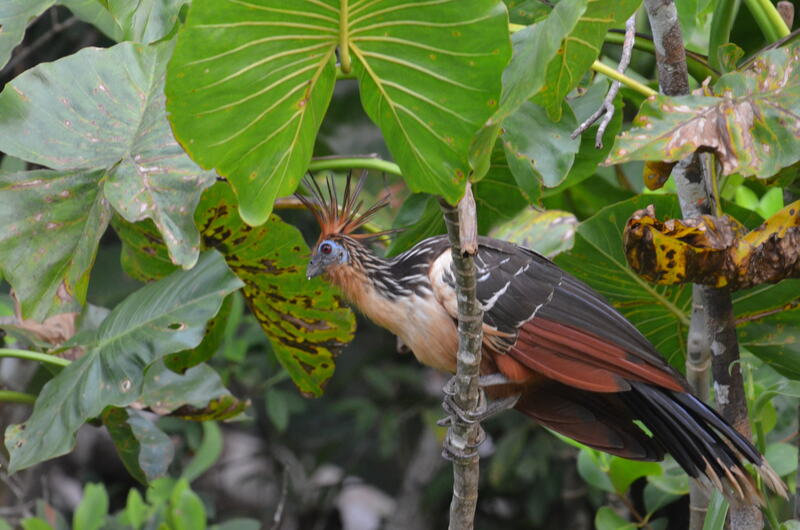 So, let me introduce you to the Hoatzin. Say “hello” to the Hoatzin. 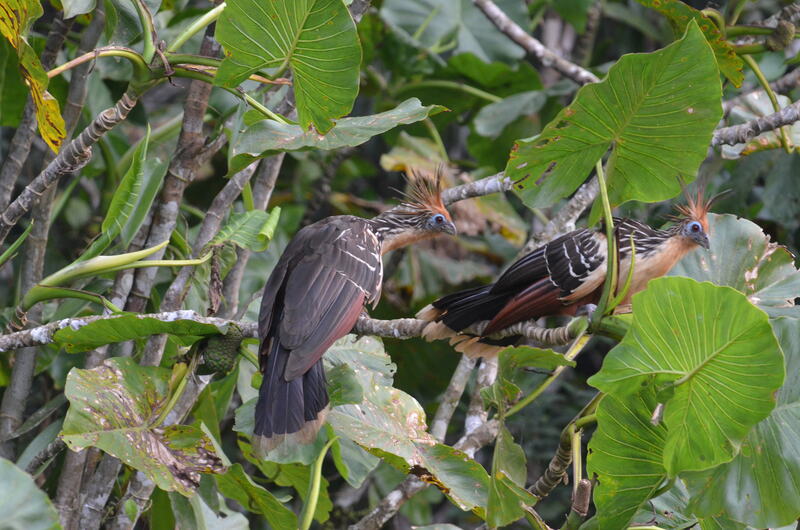 Another unique tidbit about the Hoatzin is that it’s a very primitive bird. Unlike any other bird on this planet today, the young are born with claws on their wings. And because they nest over water, should a monkey or snake try to prey on them the young birds will escape by falling from the nest into the water and clamor away using the claws on their wings. There it is–filling up with air. So, if you ever go to South America make sure you visit the Amazon basin so you can see these amazing, prehistoric-like birds. They are like nothing else you’ve ever seen. Plus, they’ll let you take their picture. 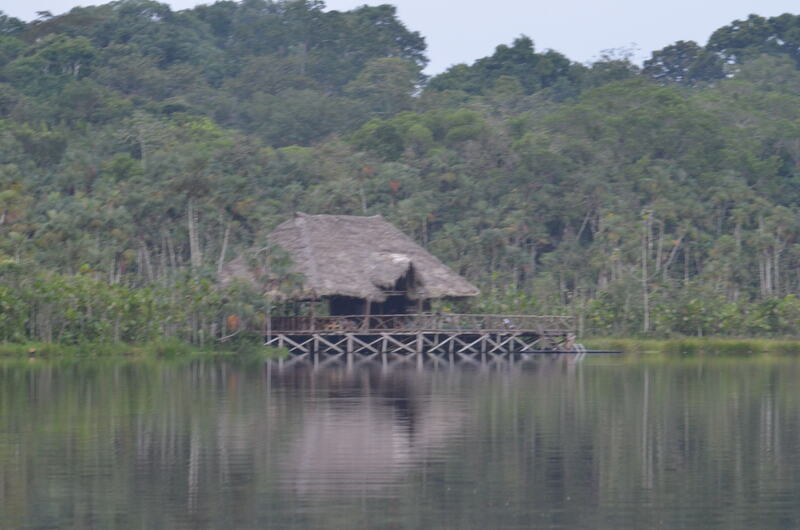 If you want to read about our journey to Sacha Lodge, check out my story, The Amazon and Sacha Lodge: Getting there is half the fun (as long as there are toilets) on my other blog, The Baby Aspirin Years. Sweet write up Ms. Boice, very cool bird. I’m loving your shots!!! Incredible birds and great surrounding landscapes. This is the kinda stuff that I love so much!